One man’s life is another man’s…profit? As I was talking one night with one of my friends, he sent me a link to something I found to be very interesting. It was a geniunely inspirational commencement speech made by Steve Jobs celebrating with Standford’s Graduating Class of 2005 as they embarked on their next journey of life. I bet at that time it didn’t cross anyone’s mind that six years later, on October 5, 2011, that the brilliant mastermind behind the brand of Apple iPod would pass away. For the sake of time, I followed my friend’s suggestion and read the last three paragraphs of his speech. There was power behind those words, but while I continued to think of his insightful advice, I started thinking about something else. It’s no mistake that Steve Jobs was a highly revered person in the technological and business world. If his ideas and images were so influential, then of course the death of this legendary man would also play a part in our topic of murketing. When an ordinary person dies, only a small number of people know about it, right? Condolence cards and invitations to wakes are sent and the funeral comes and goes without much ado, the memory of the deceased held in the hearts of the individual’s closest friends and family. But what happened when Steve Jobs passed away? 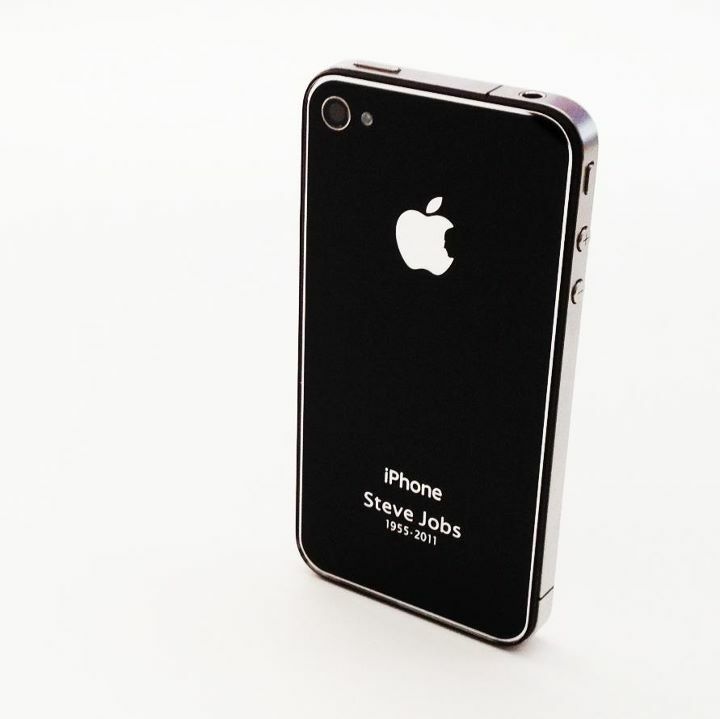 After a quick Google search following my curiosity, I found this: an influx of Steve Jobs memorabilia items on sell in less than 24 hours after his death and the advancement of certain special products. Really guys, really? After all, this is a “Stop the Presses” moment. 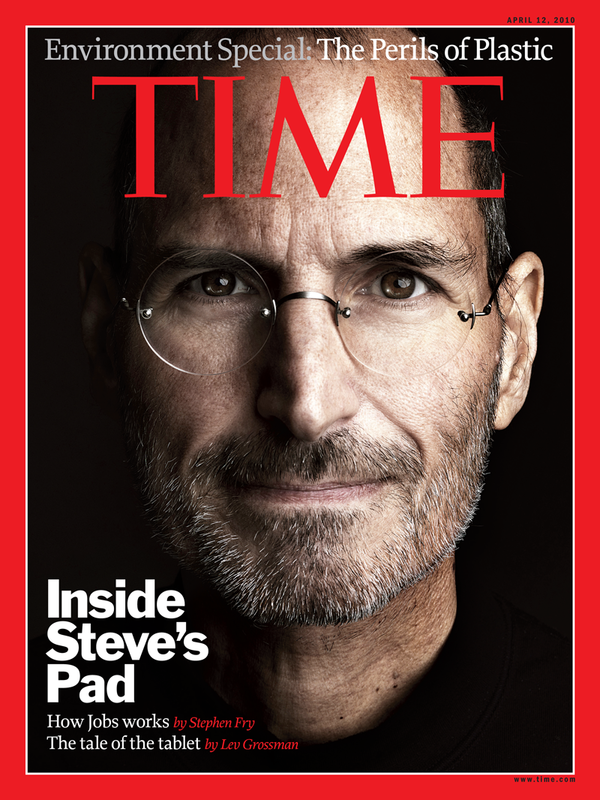 Of course, putting his picture as the front cover of TIMES Magazine rather than, say, a deceased iPod (for symbolic imagery) or a different picture wouldn’t work as well to draw in the audience to buy the product. Created T-shirts, old magazine photos in magazines, and old figures have skyrocketed in price on sites like E-bay according to one website, DailyDot.com. Another one advises the public to beware of scams related to this. 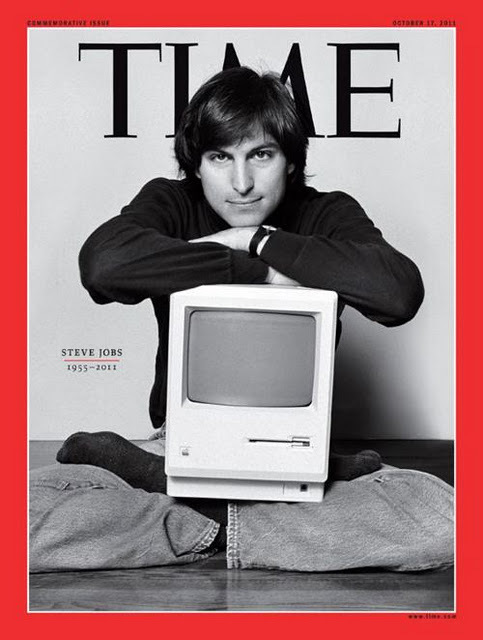 That aside, I’m sure other magazines such as TIMES, depicted the iconic image of Steve Jobs on their covers not just to pay tribute to the man himself, but to also use his influential presence to sell their own items to. *Instead of an Apple “bite” it’s Steve Jobs profile. Maybe it’s just a coincidence. Or maybe it is the iPhone 4 Steve. It’s just too murky for me to figure out so I’ll let you decide. Effective murketing is about getting the kind of exposure that you cant “tivo” out. With DVRs, cable tv, and internet, entertainment is more on-demand than ever. People fast-forward through commercials, watch television programs on their laptops and turn to alternative sources of entertainment such as youtube. To get people to pay attention to your product, you really have to cut through the noise and capture the zeitgeist. To do this, you have to turn your commercial and your product into something more than an advertisement. You have to turn it into entertainment. One of the most famous examples of this type of marketing is the Will It Blend campaign by Blendtec. In this popular series of youtube videos, Blendtec founder Tom Dickson puts various items in his sturdy Blendtec blender to see if it will indeed blend. Some of the items include iPods, golf balls, marbles, Nintendo Wii, and even a car, a Ford Fiesta. The Will It Blend series is popular (all of its videos have a least one million hits) and irreverent. It features the type of off beat dead pan humor that sells so well on the internet. The Blendtec videos have become a phenomenon in many circles. They are a perfect example about how to create grass roots brand exposure that spreads through “word of mouth” faster and more effectively than any traditional means of advertising. Instead of spending millions on commercials during peak TV hours, Blendtec made a series of cheap, clever videos that pay for themselves. I bet the guy who came up with that idea got a big raise. The iphone 4s is all the buzz this week as it was released on Friday, touting new technology such as the interactive “Siri” which literally speaks back to you when you ask it a question and the iCloud service which helps sync your phone with your other apple software and devices by storing your information wirelessly. Sweet. I decided to splurge and finally upgrade to the iPhone, and I have to admit its pretty cool. Not one to usually be up to date with technology, I have found the iPhone 4s to be user friendly and super entertaining. Admittedly, I am already an avid user of the games “hanging with friends” and “words with friends,” which I’m sure most people by this point are aware of, if they haven’t already fallen victim to their addictive qualities. Yet, users will now be targeted as potential consumers during all of those hours sweating over which word combinations will land them with the most points. How? Apple has announced its implementation of the iAd, as Jesse Hollington explains in his article, Apple iAd: iPhone OS 4 ad platform offers devs 60& of revenue. iAd provides advertisers direct access to consumers inside the applications, so that users will be interacting directly with the advertisements as they use the app. He continues to explain how this opens the door for advertisers to reach one billion iPhone users, and thus potential consumers, a day. Clearly, this is a huge opportunity for advertisers. But what does it mean for us iPhone users? Well, here’s what it looks like. The first two pictures pop up in between the players turns. The player must wait a few seconds before he or she can press continue to navigate away from the advertisement. The second two pictures are the home page of the hanging with friends app. Notice the adds at the bottom of the screen. Also note the “follow us on Twitter” link at the top of the screen and the link to Facebook. Just another example of how intertwined, and murky, all of this advertising is really getting. Also it seems to me that this sort of advertising is really inescapable, as it transcends all barriers to reach right into your pocket and essentially into your personal, everyday life. The user does have the option to pay for the app without advertising, but it seems highly unlikely that many people would actually do this, including me. Looks like another example of murketing. In fact, we’d say this is downright iMurketing.